Hublot made a new partnership deal on football. We are familiar to see Hublot in World Cups, a lot of European Teams and almost everywhere related with football. Now they’re in European matches. We can say that, the brand truly earns their slogan “Hublot loves football”. With this new partnership Hublot became official timekeeper of UEFA Champions League and UEFA European League. 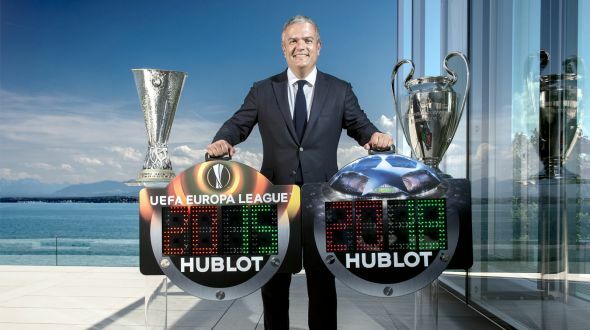 From now on we’ll see Hublot’s substition signboards at European matches.